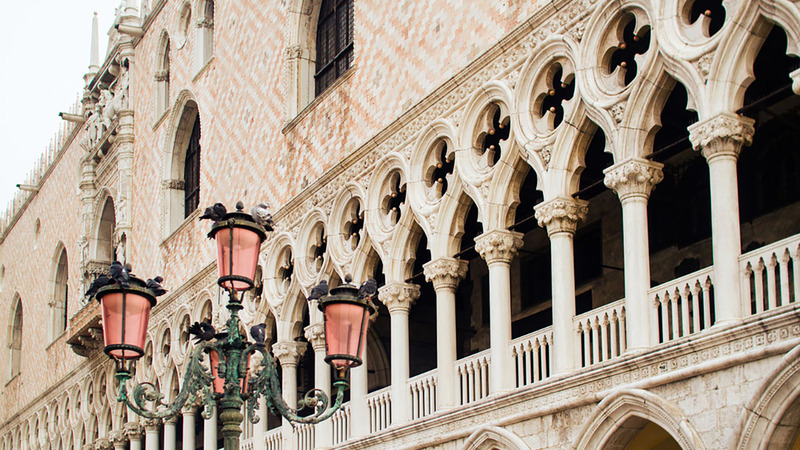 Explore the two most famous sights of Venice in the most exclusive way. Enjoy an evening Doge’s Palace tour (when most visitors have left), then unlock the doors to enter St. Mark’s Basilica after closing time! Visit grand council rooms, the Doge’s apartments and incredible frescos by Veronese & Tintoretto on our Doge’s Palace tour, the enjoy access to areas not usually seen by the public on our exclusive St. Mark’s visit. 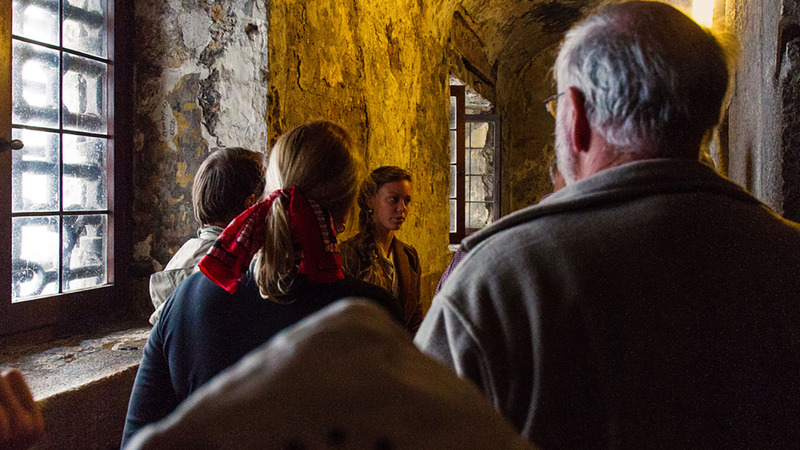 Throughout your tour you’ll travel in small groups of 15 people or fewer. And since this late entry time at St. Mark’s is exclusive to Walks of Italy, we can guarantee a max of three other groups inside the huge basilica during your visit. Enjoy a Doge's Palace tour after most visitors have left. You’ll start your VIP evening at the Doge's Palace. What the Vatican is to Rome, the Doge's Palace is to Venice. For seven hundred years, this remarkable palace has been the home of not only the Doge (the Duke of Venice), but of Venice’s independent government, courts, and even prisons. We’ll take you right to the heart of Venice’s power and history on our Doge’s Palace tour, from the Doge’s own lavish apartments to the Hall of the Great Council, where the city’s all-important general assembly made decisions before beautiful paintings by Veronese and Tintoretto. Learn the secret behind why the painted series of doges is interrupted by a mysterious black veil; discover just what the Doge really did, who he was, and why you might not want the job yourself. You’ll also get to explore the massive armory, with all the weapons you wouldn’t have wanted to face, and the spooky prisons, where you wouldn’t have wanted to end up! 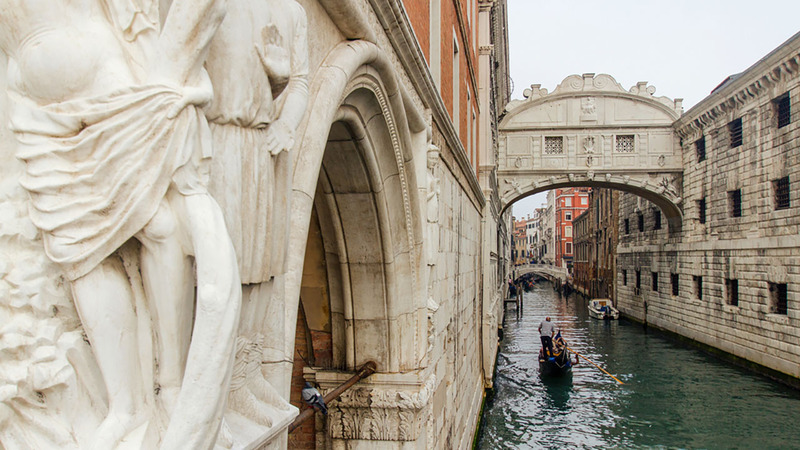 Cap it all off with the Bridge of Sighs, which you’ll learn isn’t quite as romantic as you thought. Enter St. Mark's Basilica after closing for the most exclusive visit available. After a short break you’ll continue to St. Mark's Basilica where you’ll get the real treat, and the highlight of our tour. Here you’ll meet an official custodian of the basilica, who will unlock the doors to allow you inside. This VIP access is only available to Walks of Italy, so you’ll see the basilica almost alone! Enter this stunning space and take a deep breath. You’re seeing the basilica as few visitors will ever see it – as only the Doge himself was allowed to see it – empty! There won’t be any crowding, bustling or shouting during your visit. Just the peace and tranquility with which this basilica, one of the world’s most impressive, should be seen. There’s no one here to see so we’ll take full advantage of our VIP visit. You’ll visit the Pala d’Oro, a stunning Byzantine altarpiece covered in over 1,900 gems and usually blocked by a very long line. You'll also have a special visit to the crypt, where our custodian friend will unlock the door for you. Above ground get up close to the basilica altar, where your guide will tell you the strange story of how the bones of St. Mark came to rest so far from where they originally lay. While you’re there, be sure to look up. Night is the best time to admire the basilica’s 43,000 square feet of mosaics, shimmering through the dark. Small groups, except local guides & special access - a truly VIP experience. Traveling in small groups of only 15 people or fewer throughout your experience, you’ll find it easy to hear and engage with your guide – and to ask all the questions you can think of. Listen to tales of swashbuckling merchants who fitted the basilica with stolen jewels and precious stones; how it was that Casanova escaped from the Doge’s Palace; and how Venice manage to earn the title of the world’s oldest republic. On this in-depth, exclusive tour, you won’t just see the two most important sights in Venice; you’ll explore them and by the end of your time with us, understand them. Hand-chosen for their knowledge, enthusiasm and friendliness, our local Venetian guides are the perfect hosts to help you get the most from your Venetian adventure. St. Mark's is a wonder. The ceiling mosaics are truly breathtaking. The challenge is... everyone visiting Venice wants to see St. Mark's. If you don't book ahead, you'll be spending much of your day in line, likely uncomfortable in the heat; if you do book ahead, you're still likely to be in with a lot of other people wanting to see the crown jewel of La Serenissima.With this tour, you'll be in a small group with a personal guide to give you some of the history, and you won't have to battle the crowds. Our group was probably about a dozen people, and there were three or four of the groups... which gave everyone plenty of space in a building that size.The caretakers brought up the lights to maximize the golden glow of the ceiling, as well.Definitely a good way to make the most of your time in Venice. This tour is very well organized. The meeting place was easy to find and the group was quickly assembled and organized. Susan, our guide, was just fabulous. A native English speaker, sheâ€™s obviously very easy to understand. Susan is a wealth of knowledge about Veniceâ€™s history. She has a lovely stage actor voice. Her impeccable locution, diction and intonation kept me captivated during the entire tour. Susan was very attentive to everyoneâ€™s needs, from the youngest to the not so young. She is probably the best tour guide Iâ€™ve ever encountered. The visit to Dogeâ€™s Palace was remarkable. It was nice to be able to walk right into the Palace with no line, and then easily meander through the Palace without crowds. The visit to St. Markâ€™s Basilica was truly astounding. I loved the way we quietly entered the Basilica in the dark, were seated and watched as the lights were slowly turned on. This was an exceptional experience, enhanced by Susanâ€™s lovely whispering narration. This is one of the best tours Iâ€™ve ever experienced. Many thanks. Tour guide Matteo was excellent! He provided a great deal of information over the 3+ hours but we were never bored or tired. What a terrific experience to be able to see these two sights up close and personal without the daytime invading masses! If you are lucky enough to get Ms Susan as your guide you are in for a real treat. Her enthusiasm combined with in depth knowledge on Venetian history and the glorious artworks throughout the tour is indeed special. Treat yourself!!! Awesome tour and guide was very knowledgeable. Loved it! The prisons and the armory of the Doge's Palace are not wheelchair-accessible. Please remember that the basilica is a holy place and attire must be appropriate. Both men and women are asked to wear clothing that covers at least the shoulders and knees. Walks of Italy cannot be held responsible for denied entry due to improper dress. Backpacks are prohibited inside of St. Mark's Basilica. This tour runs rain or shine. However, occasionally St. Mark's Basilica and the Doge's Palace are closed to the public, without previous notice, due to high tides or particular festivities. Please note that there will be a short break (15-30 min) between your visit to the Doge’s Palace and your after-hours visit at St.Mark’s Basilica.